I hope you’re all well! I wanted to start a new series on the blog for a while now around shopping trends, new in and trending pieces but I just haven’t gotten round to it! So today is that day, from now on, every Tuesday at 8am you will find a post with 9 of the best . . . something! It can be a certain item, something for an occasion or like today, a trend! I picked the spring trend of utility to do because without even realising it’s totally snuck into my wardrobe and it’s one trend that I am really loving this spring and I’m sure that will carry on through to my summer wardrobe! As you can see in the outfit I shot a couple of weeks ago before I jetted off to LA ( back now though, sad times! ) I’m wearing a bag and jacket with major utility trend vibes. This jacket is actually super handy because you can zip it off to make it a cropped jacket too! How cute will that be with summer dresses? 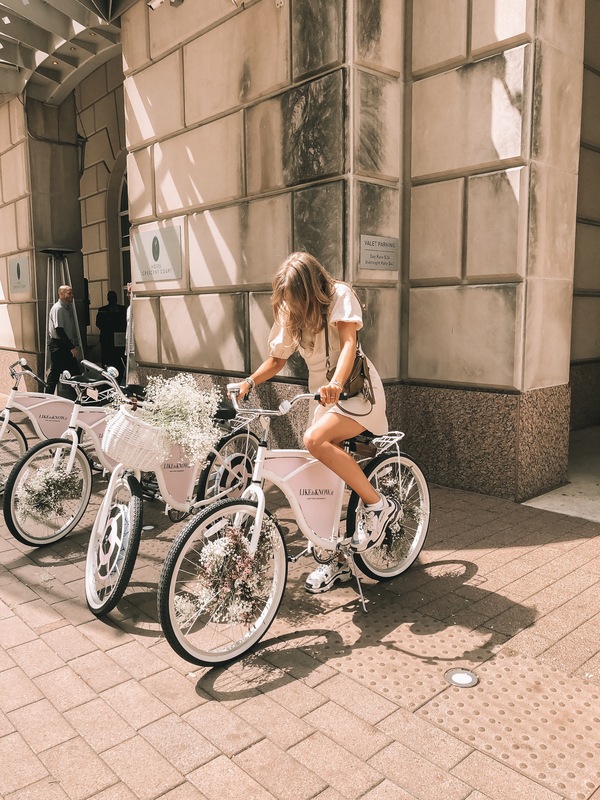 I’m also trying to be better and do something else new for you guys if you didn’t notice in my other blog posts yet, I did it in my post on what I wore in Dallas too! I’m sharing how you can get my look for less! I got a lot of feedback that people found they couldn’t necessarily afford my outfits since I’ve been wearing more designer accessories so you ask, I deliver. The utility trend is not something I would identify with and see myself wearing when I see those words, utility trend. However, without realising I have been wearing it and quite a lot actually! One item I’ve been loving is this wrapover skirt which I have actually now ordered in another colour way because I love it so much! It’s super easy to wear and is just a little nod to the utility trend if you don’t want to go full out fisherman vest. I’ve also been loving the designer items feeding there way into the utility trend. I first saw these Gucci boots over a year ago and honestly HATED them, I thought they were so so ugly (much like the Balenciaga trainers and hey look where that got me). Then a few months ago I spied them on Kylie Jenner and instantly warmed to them, something about them I can’t stop thinking about. Much the same with the Fendi utility belt which looks pretty much entirely useless right? Josefine had it, I need it, thats how it goes on instagram isn’t it? I did find some cheaper alternatives to the utility belt here and here and Asos have a pretty great dupe for those Gucci boots which you can find here. What do you think to the utility trend for spring/summer 2019? Will you be wearing it or sitting this trend out? Make sure you share it with a friend you can totally see wearing this trend! I already know who mine are! Also be sure to leave me a comment if you have a request for next Tuesdays 9 of the best!